How Can I Reject You? We had the good fortune to be in Srila Prabhupada's room when he was visiting the Mexico City temple in 1975. At that time a disciple who had strayed away had returned and was asking Srila Prabhupada to forgive him. 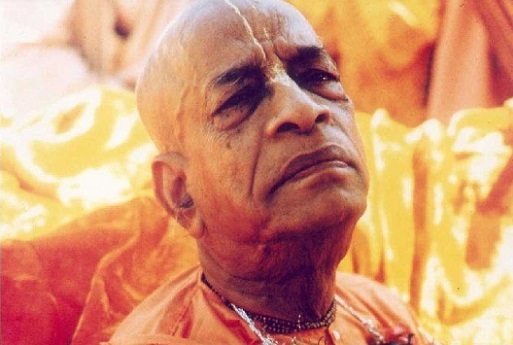 He said he was afraid that Srila Prabhupada might have rejected him forever. The entire room fell silent. Srila Prabhupada lowered his head thoughtfully for a moment. Then he looked up and said, "Krishna is God, and if He likes He can spread Krishna consciousness all over the world in a second, without the help of anyone. But I am not God. I am simply a servant of God, so I require assistance. If someone helps me even a little, I am eternally indebted to him. You have helped me very much, so how can I reject you?" We were all moved by Srila Prabhupada's humility and forgiveness.